Eryn Erickson is an entrepreneur who believes in love. 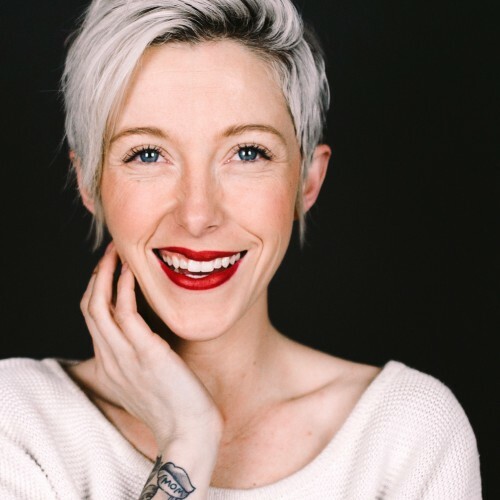 Founder of So Worth Loving, a lifestyle clothing brand that seeks to promote messages of self-love and self-worth, Eryn works hard to engage with the So Worth Loving community, listening to people’s stories and encouraging them in their battles with depression, anxiety, eating disorders, abuse, and all that life contains. As a musician, Eryn sought messages that would resonate with and encourage her listeners. When the phrase “So Worth Loving” came to mind, she put out an offer on her blog: she’d spray paint the phrase onto any shirt anyone would mail to her, and then mail it back. It didn’t take long for hundreds of items to pour in, along with intense stories from people needing to hear her message. Realizing the need for the So Worth Loving message, Eryn knew it was time to turn it into something bigger. Since she launched her online clothing store in 2011, her message and products have reached all 50 states and 20 countries, and she opened her first retail space in April, 2016 in Atlanta.